Lotto247 is a unique and interesting specimen as far as lottery sites go—but that doesn’t mean it’s a homerun. Lotto247 straddles the line between being a lotto agent and a lotto betting site, switching between the two when the situation calls for it (i.e. when jackpots reach a certain threshold). It’s certainly a fresh approach—and it helps that Lotto247 makes the experience more exciting and accessible. Those are largely thanks to the secure, user-friendly site; the excellent game variety; and the various payment methods you can use. However, because of its hybrid nature, parts of Lotto247’s service end up being overcomplicated—not to mention limiting. Check out my in-depth review below to see if it’s still worth your time! 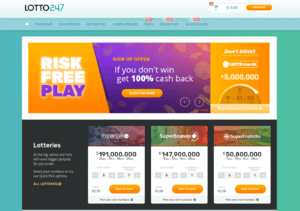 Lotto247 is an online lottery gaming site that lets players access to 14 international lotteries straight from the comfort of their own homes. They provide a secure environment that safeguards each member’s privacy and guarantees payouts to those who win. On top of that, Lotto247 also lets players purchase instant win scratch cards and participate in Keno games. If you’ve played in lottery sites before, you’ll find Lotto247 quite familiar. Playing is pretty straightforward. Sign in to your Lotto247 account. Choose which lottery game you want to play. Pick your numbers manually or randomly via the Quick Pick option. They also have a quick purchase option that lets you buy tickets with randomly chosen numbers much faster. Select how many draws you want to participate in. Click on the “Add to Cart’ button. You can continue to add more entries if you want, or you can proceed to the Order Summary page. Head to the payment page if you’re satisfied with your order. Select your payment method of choice. Signing up with Lotto247 is free and convenient. 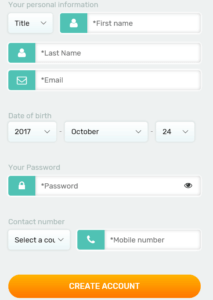 You just have to provide your name, birth date, password, country, and mobile number. You can follow this link to sign up for Lotto247. It’s also worth noting that players from a wide array of countries can easily create a Lotto247 account—even those residing in some U.S. territories (like the U.S. Virgin Islands and other minor outlying U.S. islands). Owned and operated by Secure View Services Ltd., not to mention licensed and regulated by the Curacao government, Lotto247 is a unique lottery site in that it is both a lotto agent and a lotto betting site. That means that it does purchase tickets on your behalf, while also offering games wherein you simply bet on the outcome. If you’re looking for Lotto247 promo or voucher codes, you unfortunately won’t find any. It’s a shame since most other lottery services provide some sort of bonus or incentive for players to sign up. If you’re looking for an lottery agent that provides free or discounted bets, be sure to check out some of our favorites like theLotter. Lotto lovers will no doubt appreciate that the most popular lotteries around the world make up Lotto247’s game selection. The downside is that Lotto247 does not offer any form of syndicates, nor do they have millionaire raffles. The good news is that they offer other types of games. Lotto247 offers two types of Keno games—with thousands or even millions up for grabs. 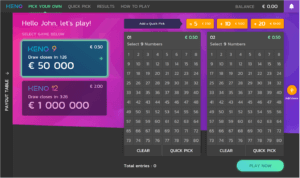 You can choose between Keno 9 (with a €50,000 prize) or Keno 12 (with a €1,000,000 prize). The difference—besides the offered prizes—is that the former tasks you to choose 9 numbers, while the latter tasks you to choose 12. It’s easy to play, too—especially when a helpful How to Play section is just a click away. Keno 9 starts at €0.50, while Keno 12 starts at €2.00. For those looking for a bit more interactivity, Lotto247’s instant win games should scratch that itch perfectly. There’s a total of eight, arcade-style instant games on tap—each carrying a specific theme. These include a Space Invaders themed game, a treasure hunting game, a Snakes and Ladders-themed game, and more! Each game has different prices—but the lowest lets you play from a measly €0.10. As for prizes, some games—like Skulldiggery, for example—allows you to win up to €75,000, while others allow you to win as much as €250,000. Before you pony up some cash though, better try out which game you like more—a free demo for each one is one click away. 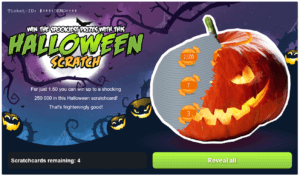 Lotto247 offers 17 different scratch cards—which is more than some of the competition. Each scratch card sports a unique theme and its own prices and prize structure. For instance, one game—the Elephant—starts at €0.50 for 1 game, while other games start at €0.70 or more. If you’re not sure which scratch card to play, Lotto247 allows you to play a sample game just by clicking on the “Play Demo” button for each. No. Lotto247 provides a safe place for players from around the world to play the lottery. They operate in accordance with the Curacao Gaming Commission, which means any winnings you are qualified for will always be paid out. Yes. Lotto247 is accredited by SRC and are licensed and regulated by the Curacao government. Yes. Playing lottery with Lotto247 is perfectly safe thanks to SSL encryption. This technology secures connections so that anything going to and from the Lotto247 website don’t get compromised. Is Lotto247 a real or fake company? Lotto247 is a real company that provides a reliable service to all. Lotto247 is owned and operated by Secure View Services Limited, a company based in the Republic of Cyprus. How does Lotto247 make money? Lotto247 makes money through their website where players can purchase bets, tickets, scratch cards, and so on. Yes. Lotto247 is completely legal. That means the company complies with all local laws, and players (as long as they are from countries that permit participation in online lotteries) are free to enjoy the services they provide. Does Lottery Critic trust Lotto247? Yes. Lottery Critic knows Lotto247 to be an honest company. Winning in Lotto247 is a mixed bag—I would have praised it if it weren’t for the confusing payout terms. For the most part, winning here works just like it does in most lottery sites. Winners, for instance, immediately get notified via email only—that is, if you win €200 or less. Meanwhile, those who win more than €200 will get notified via phone call (which is why it’s important you provide the correct mobile phone number upon registration). Use your winnings to top up your account. This is great if you want to use your prize money to buy more tickets. It’s ideal for smaller prizes. Take note that you can also choose to leave your winnings untouched in your Lotto247 account for the time being. If you do decide to withdraw them, expect to receive your winnings somewhere between 2-20 working days. Category A: This refers to jackpot winnings. Category B: This refers to second-place winnings. Category C: This refers to other secondary prizes. Now, on the surface, that doesn’t sound so complicated. However, each category has their own complex payout terms. For example, if your bet (i.e. an insured entry) nabs a Category A or B win and there are no winners announced by the official game, then you will get the full amount as advertised by the lottery. On the other hand, if there are winners in the official game, winning bets will receive the appropriate share of the prize. So, for instance, if there’s 1 winning bet, and 2 winners in the official game, you would get €10,000,000 from a €30,000,000 jackpot. Meanwhile, if there are multiple winning bets, prizes are still distributed in a similar manner. So, if there are 2 winning bets, and 1 winner in the official game, the 2 winning bets will get 1/3 of the prize each. Using the same example above, a €30,000,000 jackpot means that the two winning bets stand to win €10,000,000 each. As for Category C winners, the prizes will be the same as the ones advertised by the lotteries. But that’s not all—Lotto247’s Terms and Conditions also outlines different payout terms for Powerball, Mega Millions and SuperEnaMax! Powerball and Mega Millions: Should Lotto247 or its insurer decide to give you the winnings as a lump sum, Category A winners receive 60% of the advertised prize less a percentage of the lump sum amount. SuperEnaMax: Lotto247 pays out prizes as an annuity that spans 39 years for this lottery game. At their sole discretion, they can also pay out prizes as a lump sum, less any applicable taxes. Deposit and Withdrawal from Lotto247 – How to withdraw from Lotto247? Lotto247 accepts an impressive array of payment methods—but not everything is available to all players. Now, the bad news: Lotto247 locks out certain payment options depending on your country. For instance, when I wanted to deposit some funds in my account, the only options available to me were Visa, MasterCard, and Neteller. This is par for the course for a lot of lottery sites though—even theLotter does this. I understand that some payment options simply do not cater to an international audience, but the issue here is that some options that you would expect to be available are locked out. In fact, both Entropay and Skrill are available where I am, but it’s not offered as an option to me by Lotto247. I’m sure other e-wallets accept customers from a wide array of countries as well. It’s not a major deal breaker though. Lotto247 doesn’t have an Android or iOS app. Having said that, the Lotto247 website works just fine on mobile devices. 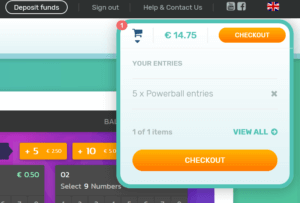 It’s got all the features as the desktop site and players should have no problems accessing their accounts or playing any lottery on-the-go. While the lack of a dedicated app isn’t exactly a deal breaker, it’s something that some players would definitely miss. One thing that impressed me about Lotto247 was their live chat support. I fired up the chat window expecting the agent on the other side to be less than helpful and simply parrot what their FAQ’s say. Needless to say, Nina—the chat agent who assisted me—was really friendly and warm. More importantly, she seemed like she knew exactly what she was talking about and gave me information not normally found in their FAQ. Two thumbs up for Lotto247’s live chat! If live chat isn’t your thing, they also offer a call back option wherein you leave your number and one of their agents will call you back as soon as they become available. You can also send them an email, or fill up the online contact form. Finally, you can also reach them via Facebook. For the most part, Lotto247’s education materials are quite decent—though a bit more meat would definitely be welcome. Lotto247’s FAQ sections, while not as robust as other sites, do the job just fine. It covers the basics and gives just enough information. Of course, I would have preferred for it to be more in-depth, but what’s on offer is just fine. There’s nothing inherently wrong about the way Lotto247 presents their education materials—you get to learn about each lottery’s history, mechanics and prize structures, after all. However, the information they offer feel more like overviews—or even bullet points—than the in-depth education materials offered by other sites (like Lotto Agent, for instance). Don’t get me wrong, Lotto247’s current education materials are just fine. However, they could do a lot better. Despite their missteps, Lotto247’s website is, thankfully, quite easy to use. I liked the simplicity of the website—it’s clean and easy on the eyes. There’s no distractions, navigation is a breeze, and everything works as intended. I also loved how you can take a quick peek at your shopping cart and make a purchase right then and there. Lotto247 allows you to quickly peek at your shopping cart. I also liked the fact that Lotto247 offers their website in 14 different languages. So if you’re not fluent in English, you can easily switch to a language you are comfortable with—provided you do speak or read any of the (mostly European) languages on offer, of course. The languages offered by Lotto247, in addition to English. That said, I do have one minor gripe regarding their website: I’m not that fond of the font color they used. The light green hue was particularly tough to make out at times, especially due to the bright white background. Other than that, I didn’t have a problem using Lotto247’s site—from browsing lotteries to choosing my numbers. Final Thoughts – Should You Use Lotto247? If it weren’t for various issues, I would have wholeheartedly recommended Lotto247. Right now, there are far better lottery sites than Lotto247. It’s a shame, really—they definitely have a lot of potential to be one of the greats. 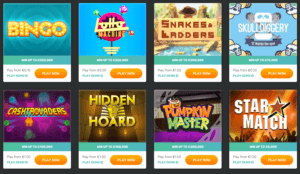 They offer a good mix of the most popular lotteries and numerous alternative games, accept a whopping 30 payment methods, utilize good security measures, and offer an easy-to-use website. However, the fact that Lotto247 is a mix between a lotto agent and a lotto betting site does not do them any favors. It’s all too confusing—especially when payouts are concerned. You also don’t get to choose how you want to receive your winnings—Lotto247 or their insurer reserves the right to pay winnings either as a lump sum or an annuity at their sole discretion. Worse, you can’t simply decide to play in an official game or if you want to join a lotto betting one. If you can live with those issues—as well as the others I listed elsewhere in this review—then Lotto247 could be for you. However, I do urge you to look at other lottery sites before diving right in. There are better ones out there that are far less complicated than Lotto247. Hey, Ravi. You can withdraw winnings from your Lotto 247 account. Depending on the size of the prize you want to claim, you might have to get in touch with Lotto 247’s customer support team. Hope that helps!